Colder weather is getting closer by the day (some of us might even be experiencing snow already! ), so you’re probably looking to stock up on one or two sturdy coats for the winter season. Below, I’ve compiled some helpful shopping tips for coat shopping, as well as my top plus-size stores for finding that perfect winter coat. Sidenote: I live in Florida, so cold weather and snow are (unfortunately!) not problems for me at all. That being said, I do have quite a bit of experience coat shopping due to traveling to colder locations in the winter. My first rule for everything is if you can, try it on. When shopping online, take a look at their size chart and measure yourself. Also, it goes without saying, but return policies are always worthy of a look, too! If you have the luxury of trying on the coat, make sure there’s enough room for layering. There’s nothing worse than feeling caged in and unable to move because the coat became too tight with your layers. Make sure it’s roomy enough for at least 2-3 layers underneath. Look for dark colors! My personal favorites are black, grey, navy, and brown, as they’re all neutralsthat can easily match any outfit. Dark colored coats are a total classic, so they’re definitely worth investing a bit more money in. However, don’t be afraid to go for a colorful coat if you like the way it fits. Make sure the coat you’re buying is long enough, so that it doesn’t roll up when you sit down. That kind of defeats the purpose of keeping you warm! If you’re tall and the weather permits for it, look for a longer coat, since that extra length is very flattering and also extra cozy. Belts are your friend! A well-placed belt can do wonders for your outfit and the same rings true for coats. Look for a coat that has a wide belt attached or just wear a good belt over your coat. Not only is this extremely flattering on all shapes and sizes, but a well-placed belt will help define your waistline amongst all those cold-weather layers. My go-to places to find winter coats are department stores like Macy’s, JCPenney, and Nordstrom. I’ve found that they usually have the best variety in terms of colors, lengths, and sizes. Department store prices aren’t usually the most affordable, but the cheapest prices I’ve found are at JCPenney, while the most expensive ones at Nordstrom (some of their coats are really pricey!). However, if you live in an area where wearing winter coats is the norm (i.e. not Florida), I think that splurging on a great coat is worth it. After all, you do want your outerwear to keep you warm, and that oftentimes means paying a bit more for a quality coat. It’s also worth noting that you should check up on the availability of plus size coats in your area. For instance, while writing this article, I noticed that while Nordstrom offers a great selection of plus size coats online, they do not carry them in stores in my area. If that’s the case with you, I suggest buying them early, so they can be shipped to you! 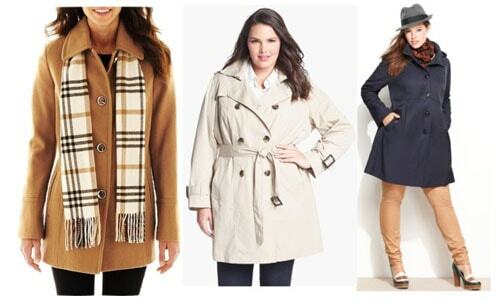 A few of my other top places to find plus size coats are Burlington Coat Factory, Old Navy, and ASOS’s Curve line. Although Burlington Coat Factory gives me a bit of a headache every time I go inside, the coats I’ve found there are so worth it. You might be overwhelmed by the sheer quantity of coats (not all of them quality) surrounding you, but if you focus, you just might find a hidden gem at a decent price. 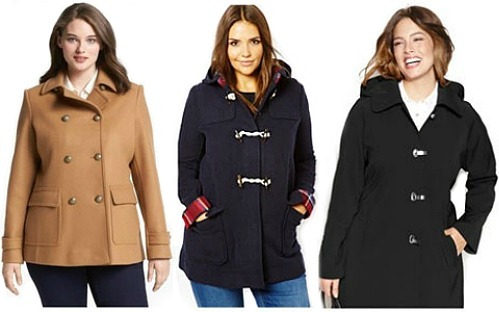 Old Navy usually doesn’t have a huge quantity of plus size winter coats, but they have a few in stock for the winter season. Their prices vary around the $75 mark, and the quality is worth it from my experience. 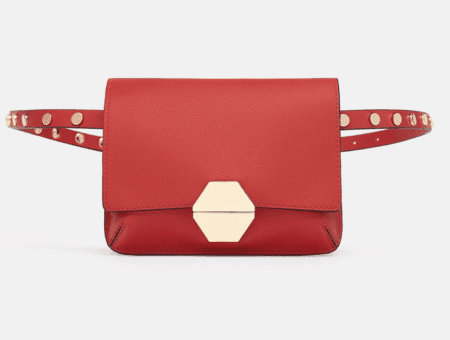 In terms of style, ASOS’s Curve line is my favorite, although many of their prices aren’t exactly college-budget friendly and they don’t have a ton of variety. 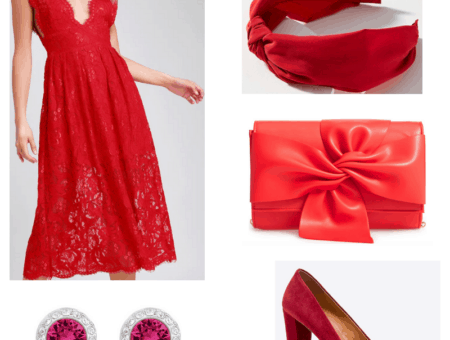 If your budget permits splurging, I recommend checking ASOS and Nordstrom out. If not, stick to more budget-friendly stores like JCPenney and Burlington. What are your go-to stores for plus size winter coats? Do you have any shopping tips to finding the perfect coat? 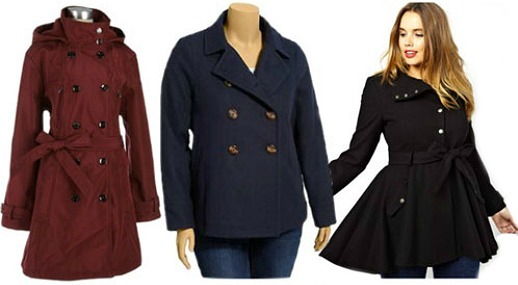 Which one of the coats pictured above is your favorite? Let me know in the comments!